You’ve put time and effort into developing your lead nurturing strategy, but to make it pay off, you’ll need to put your strategy into action the right way. Because the sales process in the construction industry often takes months, advance planning is critical. 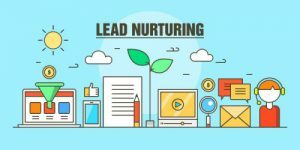 For most prospects, the educational tactics in your lead nurturing strategy are the ones you’ll implement first. Segment your leads according to where they are in the buying cycle, as well as by project type, timeline, budget, and other relevant factors to better tailor the information you send to the needs of each group. If your lead is just starting to consider investing in a construction project, encourage them with information on industry trends and opportunities. Once your prospect is ready to go ahead and is considering working with your firm, help them learn more by inviting them to a webinar or in-person meeting where you can show them what you’re capable of. When they’re close to making a decision, help bolster their confidence in your firm by sharing testimonials and success stories from satisfied clients. As you educate your prospects, make a serious effort to learn about their needs, challenges, and concerns. When your prospect is in the decision-making phase of the buying cycle, considering requesting a proposal, move from education to direct calls to action. This is where you can implement the sales-oriented tactics in your lead nurturing strategy, such as inviting your prospect to schedule a consultation or strategy session. Even after your potential client has received your proposal and decided they like what they see, chances are they’ll place your firm on their shortlist rather than immediately start contract negotiations. Here’s where your earlier work will set you apart. Use the detailed information you’ve collected about your would-be client over the past months to address their concerns and demonstrate how your firm can deliver precisely the results they want. You work hard to build your email list, but getting people to sign up doesn’t mean your work is done. If you want your readers to become paying clients, focused email lead nurturing is a must. Your email list is a channel for communication and interaction, not a platform to talk about your firm. 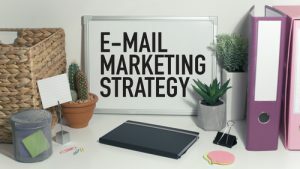 For effective email lead nurturing, focus on providing content that helps your readers solve their problems and meet their goals, and encourage them to let you know how you can do that better. Ask them what topics they’d like to hear more about and what kinds of problems they’re facing. Run polls that let readers offer feedback just by checking a box. With permission, share good news from your readers. Keep your writing professional yet personable to assure your readers the emails they’re getting come from a real person they can relate to. The prospects reading your email list have already shown more interest in working with you than those simply reading your blog or social media posts. Repay them for their loyalty by showing them a little in return. Make important announcements to your list first, provide high-value content not available on your website, share behind-the-scenes tidbits, and when possible, offer your readers special deals or services. When people feel like they’re part of something special, they’re more likely to take an active role in that community. This also subtly appeals to your prospects’ egos, and everyone prefers to do business with someone who makes them feel good. Find a publishing schedule that works for your firm and your target market, and stick with it. Consistent publishing shows your readers you’re making them a priority and that you’ll be present and listening when they decide to interact with you. It also keeps your firm on your readers’ minds, making it more likely you’ll be the one they contact when they’re ready to start a project. 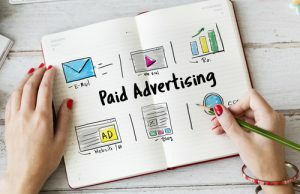 Online Paid Ads – Are They Worth It? You’ve probably heard the horror stories of businesses that lost hundreds on poorly managed online ad campaigns, but paid advertising doesn’t have to end this way. When run with care, online paid ads can be a cost-effective source of leads. As with any type of advertising, the success of your ad depends on where you publish it. You’ll get the best results by placing your ads where you know your prospects spend time. Finding a targeted, engaged audience is more important than gaining wide exposure. Ads on a website or email list focused on your specialty, such as home renovation or commercial property investment, can be well worth it. Where niche businesses often go wrong is by taking out ads on sites with huge, but broad readerships. Ads like these cost a bundle, yet they reach few people who are interested in what’s being offered. 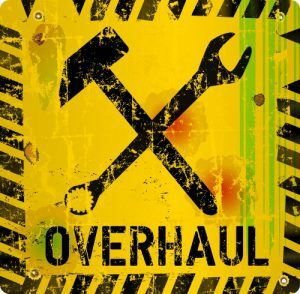 On sites that require bidding on keywords, choosing general terms such as “construction contractor” can also blow through your budget fast with little result. Google Adsense, Facebook Ads, and similar options work best with specific targeting of keywords, demographics, interests, and other factors the channel allows you to define. Another way businesses lose money on online paid ads is by failing to set a specific, realistic goal for each ad. Anything from a short ad to a full-length paid blog post can bring in warm leads, but can’t instantly convert someone who’s never heard of you into a client. Just displaying your company’s name and logo is unlikely to bring you any leads at all. Think from your prospects’ perspective and offer them an incentive to take a small step towards getting to know your firm. That might be signing up for your email list, downloading one of your lead magnets or contacting you to schedule a strategy session. Once you have their contact information, you can nurture these leads until they trust you and are ready to do business. For more guidance on running profitable online paid ads, contact us at Construction Monitor. Posted on December 19, 2017 Author David MineerCategories NewsTags facebook ads, online advertisingLeave a comment on Online Paid Ads – Are They Worth It? Trying to manage a blog, email list, and social media accounts without a clear plan is just asking for a headache. By creating an editorial calendar to guide you as you go, you can produce better content and manage it without stress. Start by brainstorming a list of topics you know your potential clients are interested in. Check your website statistics to see which topics get the most attention and think of ways to expand on those. Do some keyword research with one of the many tools out there to find out what your target market is searching for online. Browse other sites in your industry for inspiration. While you’re gathering ideas, consider which formats you want to use for which topics. Some might work well with text alone, while others are better suited to video. Once you have a pool of topics, decide when you’re going publish on each channel and fill in a topic for each “time slot.” Try choosing a theme for each month related to what your potential clients are most interested in at that time of year. For instance, if they’re in planning mode in winter, they might be interested in learning about new construction methods and materials. Picking a theme for certain days of the week, such as construction law on Mondays or sustainability issues on Wednesdays, also helps you decide what to publish when. 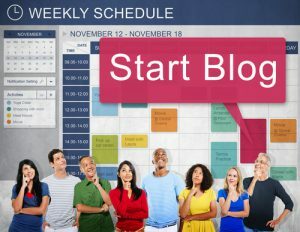 While some of your online content might be blog posts you can write off the top of your head, other content will require work done in advance. You might need to gather data, interview outside experts, take photos, create graphics or edit videos. Your editorial calendar can keep you on schedule for each step so your content is ready on time. Look back through your calendar and note what steps will be necessary to create each piece of content, then add those steps to your calendar. 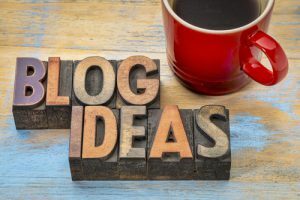 No matter how enthusiastically you started your construction blog, chances are after a few months you’ll find it harder to come up with fresh blogging ideas. When you need inspiration, here are a few ways to find it. Check out your competition – Browsing your competitors’ blogs and websites is one of the quickest ways to get ideas. While you might not want to cover the exact same topics, seeing what others in your field are writing about can spark ideas. Even if you do, your take on each topic will be unique to you. The blogs of your partners, such as materials suppliers and subcontractors, can also provide inspiration. 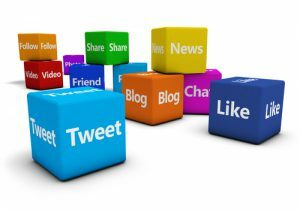 Search social media – The questions your target clients ask on social media are a rich source of blogging ideas. To find them, search your favorite platforms by hashtag and keyword. Pay attention to the “trending” sections of your social media accounts, too. These are often tailored towards your interests. Review the trends – Services such as Google Trends and BuzzSumo can help you zero in on what people are talking about online. Most topics won’t be directly connected to the construction market, but with a little creativity, you might find an angle that to relates your audience’s needs. Ask your audience – If you have an email list, send out an email asking your readers to name the one topic they’d most like to read more about. On your website, run a poll listing five or six topics to vote on. When you have a few minutes to talk with a client, ask if there’s anything they’ve been wanting to learn more about. Mine your workday – Stay alert for inspiration in the things you encounter throughout your day. It could come from a product sample you received, a comment from a colleague or even a concern you’re having about an on-going project. Use a notebook or phone app to jot down any blog post ideas you have to create an idea bank to draw from later.